Layoffs are underway at publisher HarperCollins. Please send us details. We hear there are many layoffs in the PR department, and that high level editors are being axed. Some of that is detailed in the memos. What the memos have said so far: The Collins division is closing, and its imprints are being redistributed within the company; and the Bowen Press is closing, and its publisher, Brenda Bowen, is leaving the company. Over the last several months, the unstable economy has had a significant impact on businesses and consumer spending. Our industry is not immune to these market forces, and there is increasing pressure on us, along with our retail and wholesale partners, to adjust. While the HarperCollins publishing program is strong, with year over year increases in market share and the number of bestsellers, we have been unable to offset negative external pressures affecting our core business. 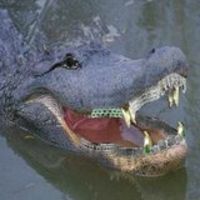 This presents new challenges to the business in the short-term, and may have lasting effects for the industry. As you recall, we started taking measures last fall to contain costs and improve efficiencies. Our plans ranged from reduced travel and entertainment spending to delayed salary increases, hiring and investments. And last month, we offered voluntary retirement to select employees in certain locations. The intention and hope of all of these initiatives was to reduce costs sufficiently to avoid possible layoffs. However, given the continued uncertainty in the market and soft revenues for the company, we need to take further action to align our cost basis with expected revenues.. I have asked each division to evaluate their business and begin the process to meet this goal. Unfortunately, in some HarperCollins divisions, implementing these plans will result in a reduction in workforce. These are difficult decisions that were not made lightly. Although we are facing new challenges today, we know that our company will again see a strong market. HarperCollins has a nearly 200 year history of managing through business cycles much more difficult than today's. I am confident that our authors, our ambitious publishing plan and our creativity will carry us forward. 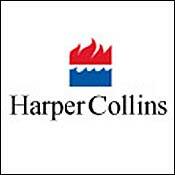 Collins trade paperbacks, with the exception of Collins Reference and Collins Design, will be folded into Harper Perennial and Harper paperbacks under SVP, Publisher Carrie Kania. Collins Design's VP, Publisher Marta Schooler and her entire team will now report to Carrie, and continue to publish under the Collins Design imprint. Additionally, to further strengthen our paperback program, the Avon trade paperback line will now fall under Carrie. Stephanie Meyers, Associate Editor, will join the group and report to Cal Morgan, VP, Editorial Director. Liate Stehlik will take over the role of SVP, Publisher of William Morrow/Eos/Avon, and will continue to oversee Avon and Harper mass market titles. Collins Living titles will be published as William Morrow books going forward and will now be part of the William Morrow imprint. Mary Ellen O'Neill will join this group as VP, Executive Editor, and take on the added responsibility of managing the William Morrow cookbooks program reporting to Liate. Senior Editor Matthew Benjamin and Editor Anne Cole will continue to report to Mary Ellen. HarperCollins Children's Books continues to lead the industry with the greatest number of award-winning authors and bestsellers. We are also forging ahead on the digital front with innovative programs like The Amanda Project and partnerships with MySpace. However, as the book world becomes increasingly challenging, we must continue to be extremely cost conscious. In an effort to further streamline our publishing operations, we will close The Bowen Press. I thank Brenda for all her hard work and wish her all the best in her future endeavors. Additionally, we will be moving offices to join our colleagues at 10 E. 53rd Street. This is a very exciting and strategic change for the Children's Division. It allows us to work more closely with our sales team and with the adult side of the business in all areas, including editorial, marketing and sales, as well as digital publishing initiatives. We will be better able to work collaboratively on the authors we share, and to develop new important author relationships for the future. The move will take several months to complete and additional details will be provided in the coming weeks. The Children's Division is now positioned for increased success. Our operations are more efficient and our teams are working more collaboratively than ever. I thank you all for your outstanding efforts to make HarperCollins Children's Books the best it can be.